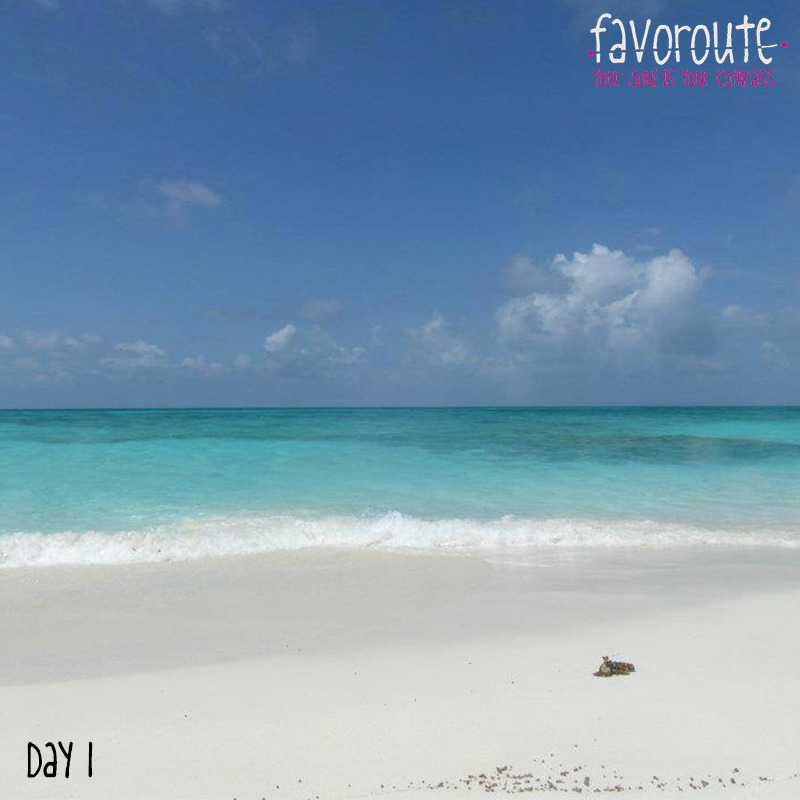 Day 1: Just arrived after a long trip on this beautiful beach! Can’t believe how blue the water is of the Great Barrier Reef! 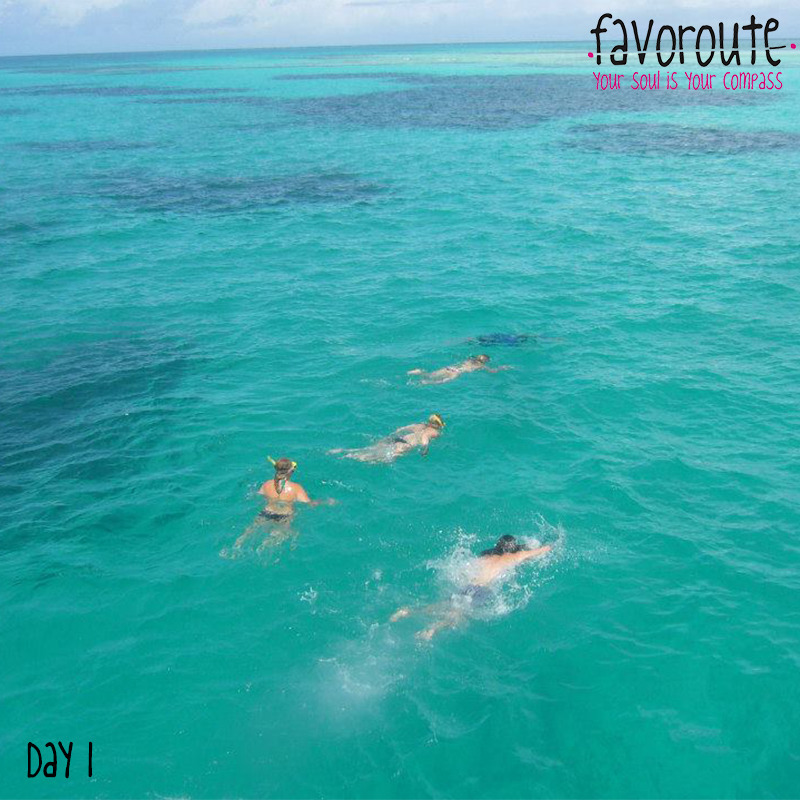 The best way to fresh up is to dive into the sea and check the world’s most beautiful aquatic life! 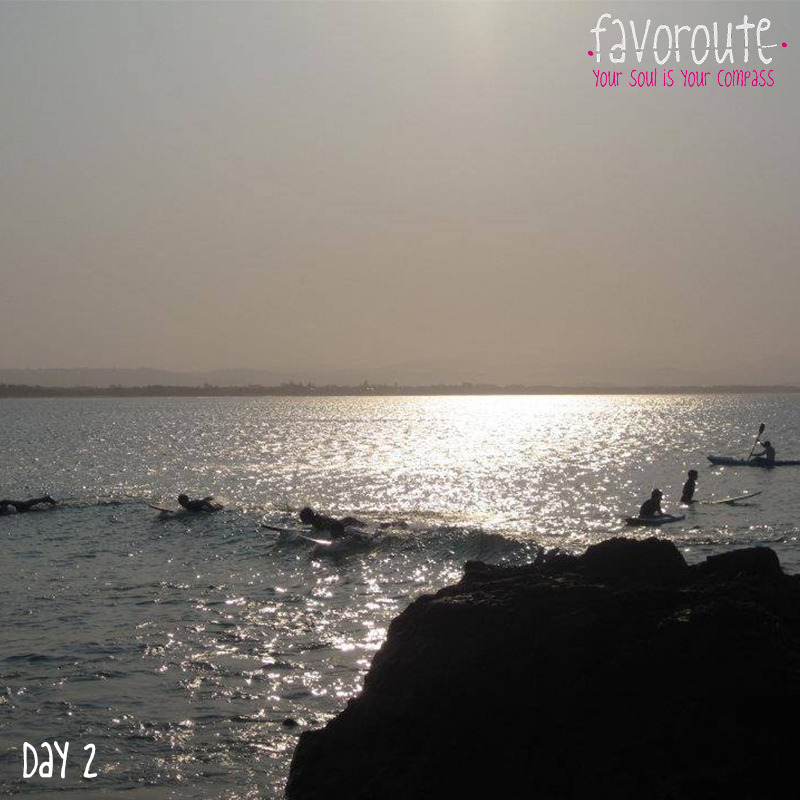 Day 2: We tried to enjoy the beach as much as we could! 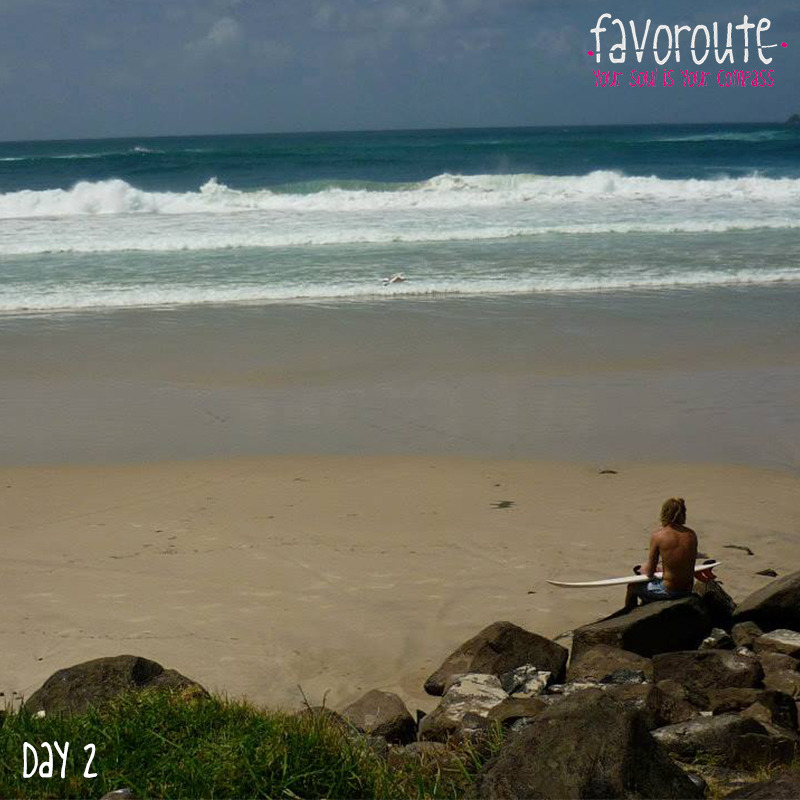 Finding quiet spots and watching the surfers on the waves! 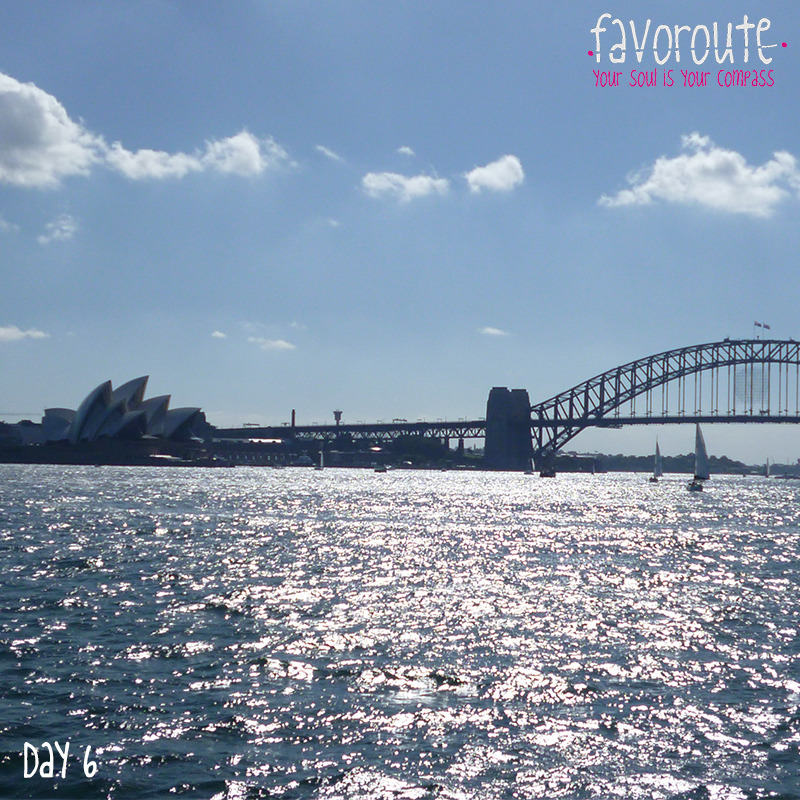 Day 3: We arrived back in the city – we are already halfway of our trip. Time to put on some normal clothes and wander through the streets! It can be quite hot in the city – so on the Southbank they made a lagoon to have a fresh dive once in a while! 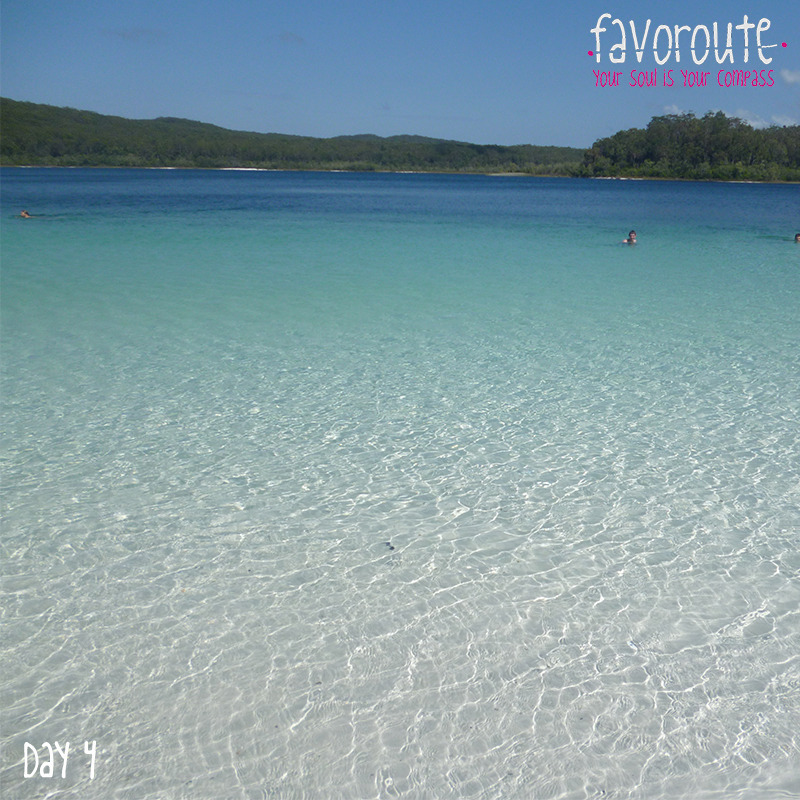 Day 4: We took a trip to this magical sand island called Fraser Island. In the middle of the island you can find a fresh water lake with this beautiful water! A place you never want to leave! But forces of nature can be strong! Even on this beautiful island we were expecting a storm! Hold onto the tents and hide in the car! 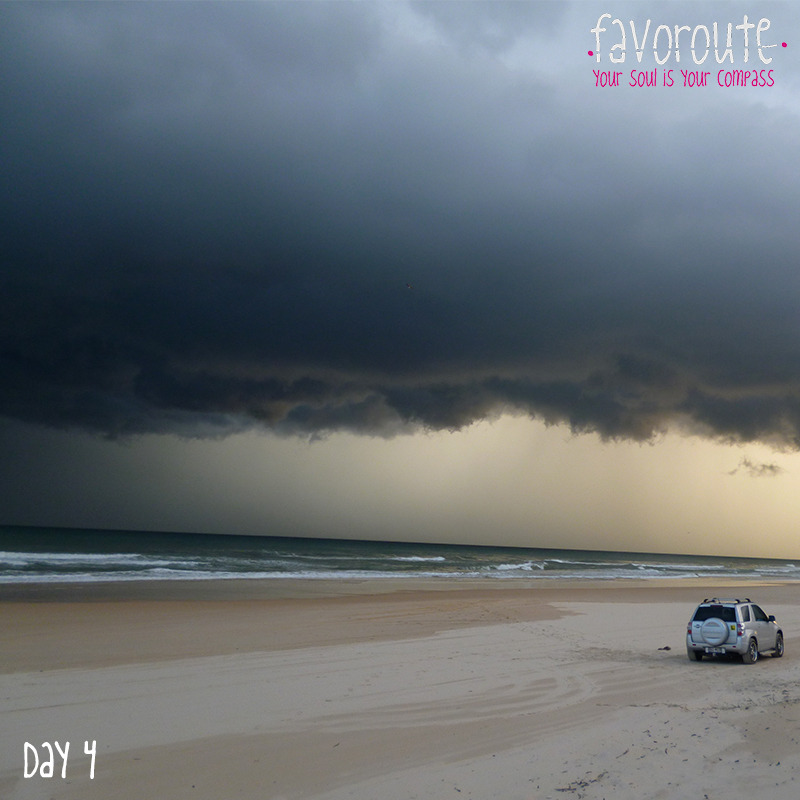 Day 5: After another long drive by car we arrived back in Byron Bay – and the most easterly point of the country! 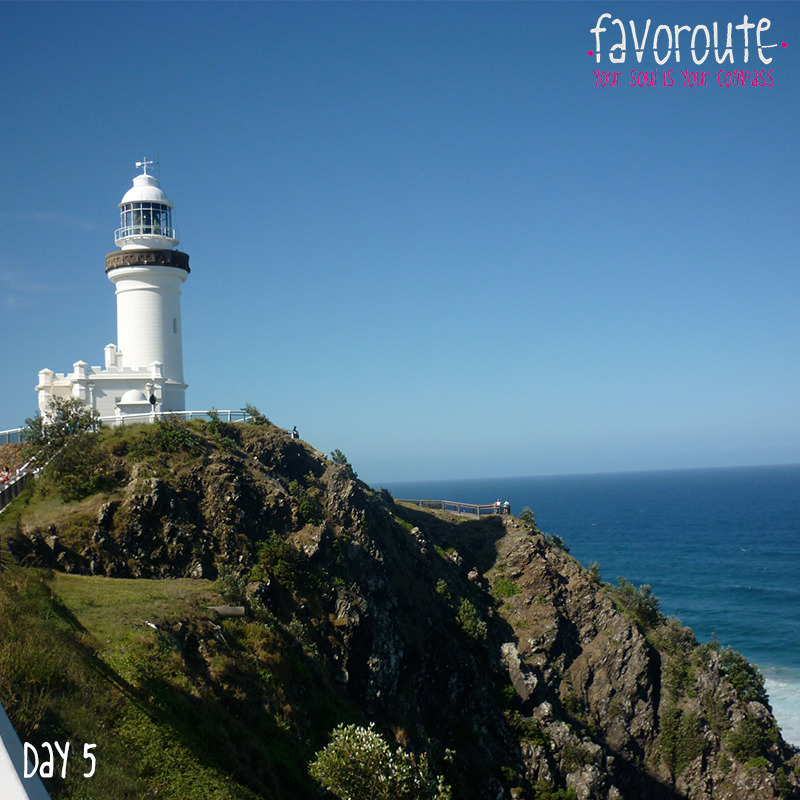 Here’s a beautiful look out point at the lighthouse were you can spot whales, dolphins and turtles! 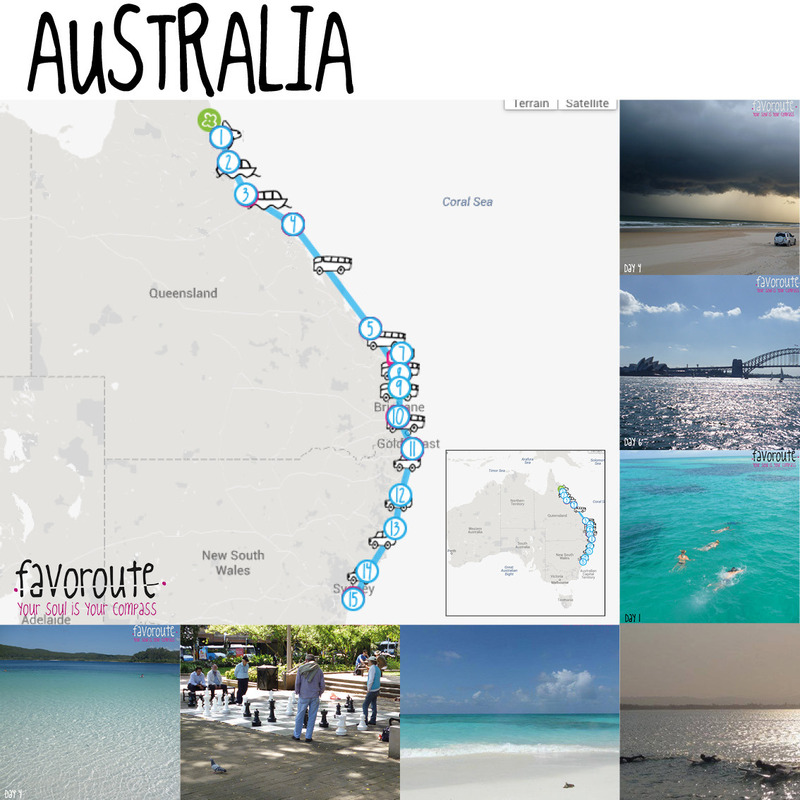 Another way to check the most easterly point of the country is to go skydiving! At 6 in the morning you’ll have the best view you can get! Day 6: We arrived almost at the end of our trip, back in the city! 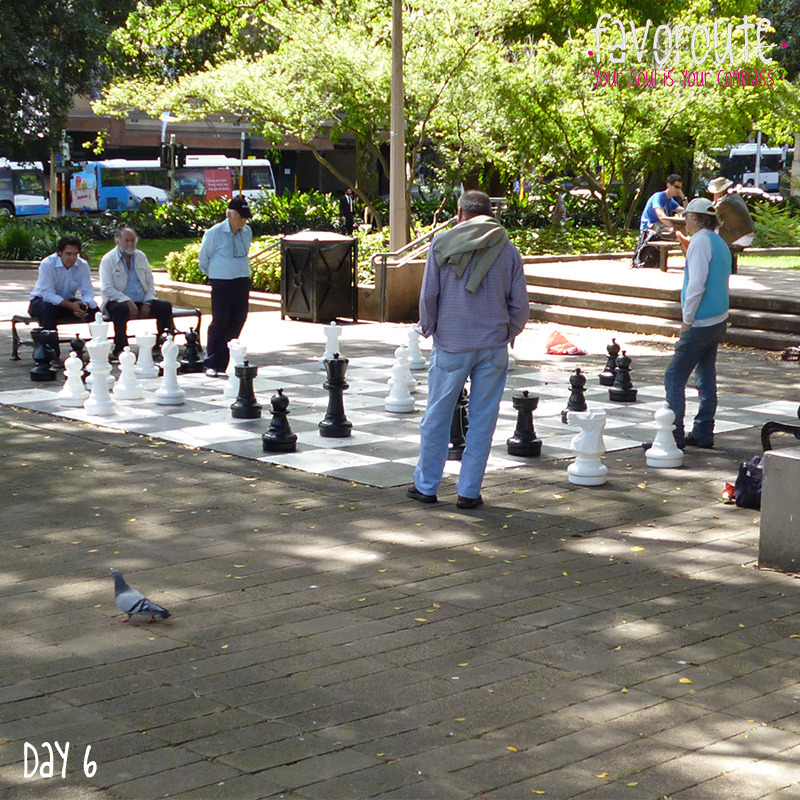 Because of the heat people find some quiet places in the shadows and enjoy a game of chess in Sydney’s Botanical Garden.The best way to look at Sydney’s views is by boat! Buy a ferry ticket to Manly and see the Opera House and the Harbour Bridge in its full glory! Next Post Here Are 12 People Who Have No Fear Of Heights. You Won’t Believe These Until You See Them.